South Jersey Behavioral Health Resources, Inc. (SJBHR) is governed by a volunteer Board of Trustees composed of individuals from various backgrounds including, business, finance and accounting, law, management, clinical services and human resources. The Board has oversight responsibility for agency operations, financial integrity, quality services, policy development and strategic planning. SJBHR is fortunate to have a Board that understands and supports the mission, vision, values and goals of the agency. Isiaka Bolarinwa is a Diplomat of the American Board of Psychiatry and Neurology and a Credentialed Alcohol & Substance Abuse Counselor. 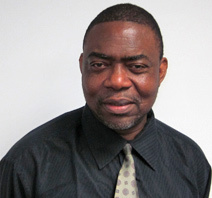 Dr. Bolarinwa is currently a psychiatrist at Friends Hospital in Philadelphia and is the Associate Residency Training Director at UMDNJ/Atlantic City Medical Center's Psychiatry Residency Training Program. Dr. Bolarinwa's medical training includes being a Fellow in Child and Adolescent Psychiatry at The Children's Hospital of Philadelphia; and a Fellow in Child Psychiatry at the Medical College of Pennsylvania/Hahnemann Hospital. Joseph Kaluhiokalani is the President/CEO and owner of Aloha Communications Contractors, Inc. a firm specializing in cabling for computer networks, telephone systems and fiber optics applications. His Cherry Hill, NJ firm was recently recognized by the Philadelphia Business Journal and the Wharton School of Business as one of the 100 fastest growing privately held companies in the Philadelphia area. Mr. Kaluhiokalani has over 25 years of managerial and administrative experience in the communications field and has completed projects with businesses and agencies throughout the Delaware Valley including Temple University, PA House of Representatives, Delaware County Community College, Nortel Networks, Johnson Controls, Earle Naval Weapons Station, NJ Performing Arts, US Department of Commerce, J.C. Penney, Philadelphia Family Court, and Princeton Behavioral Clinic. 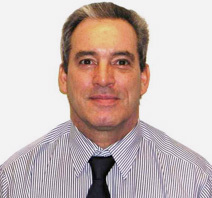 Mr. Kaluhiokalani also serves on the Board of the National Electrical Contractors Association (NECA). Aloha Communications is classified as a Minority Business Enterprise – Disadvantaged Business Enterprise (MBE-DBE). 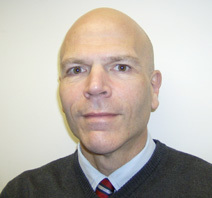 Andrew Lubin is a graduate of Rider University and the Widnener School of Law. Mr. Lubin was admitted to the bars of both New Jersey and Pennsylvania in 1988 and is currently an attorney in private practice in the South Jersey area. Sunil Marwaha is the Chief Operating Officer of Support Services for the Camden County Health Services Center, a 450-bed facility that provides long-term care, skilled nursing, sub-acute rehabilitation and inpatient behavioral health resources. Mr. Marwaha is a member of the American College of Healthcare Executives, and holds a Master's Degree in Business Administration. Nydia I. Torres is a graduate of the University of Puerto Rico, Medical Sciences Campus, School of Allied Health Professionals. She holds an MSN in Psychiatric Mental Health Nursing Education. Presently she is the Chief Nursing Officer at UHS, Foundations Behavioral Health in Doylestown, PA. She has clinical and administrative responsibility for nursing services for 30 autistic children and adolescents and a 40 bed Residential Treatment Facility for adolescents. She is an active member of the Board of Governors and Senior Management Team. She coordinates and facilitates nursing students’ educational activities. She is licensed as a Registered Professional Nurse in Puerto Rico and Pennsylvania.